King Kerosin's fitted Raw Denim Dress! Genuine raw heavy denim with slight stretch to hug those curves. 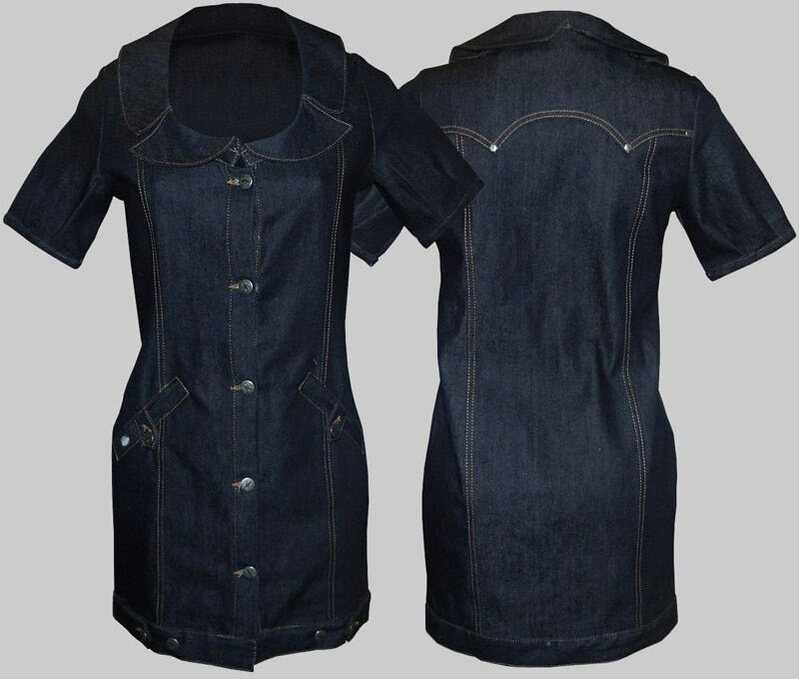 Features kustom casted button and rivets, detailed camel stitching and front button adjuster. Note: Please use Size Chart when ordering, form fitting dress & shorter length.